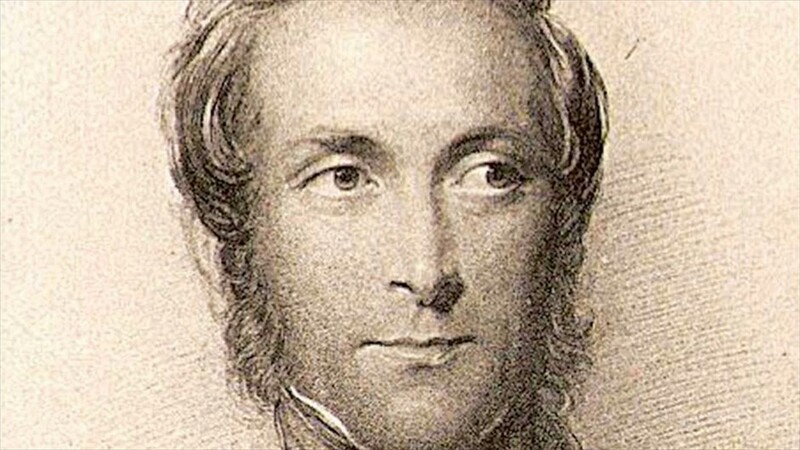 Lord Dalhousie was the Governor General of India from the year 1848 to 1856. His real name was James Andrew Ramsay. During his time, the second Anglo Sikh war was fought between the Sikhs and the British East India Company. In this war, the Sikhs were defeated once again and Lord Dalhousie successfully conquered the whole province of Punjab for the British administration. He was able to conquer many provinces using the Doctrine of Lapse policy. He did some significant reform works in his time like he opened the first railway line in India between Bombay and Thane in 1853. In the very same year, he connected the cities of Calcutta and Agra by telegraph line. He also set up a public welfare department and also passed the widow remarriage act of 1856. One of the major conflicts when Lord Dalhousie took office as the Governor General of India was the ongoing second Anglo Sikh war in 1848- 49. In this battle, the Sikh were defeated and hence came the end of the Sikh kingdom. To control the area of Lahore in a better manner, sir Henry Lawrence was appointed at the Lahore Darbar but he had to leave for England because of some disease and a lawyer was appointed in his place at the durbar. His name was Sir Frederick Currie. Now, Sir Frederick Currie was a legal and puritan person. At that time Mul Raj was the governor of Multan. He was asked by Sir Frederick Currie to pay his outstanding taxes. He sent some British officers to collect the money from his fort. The British officers were wounded when Mul Raj protested. These officers were saved by some people but the very next day they were killed by the angry mob. This lead to a full-fledged war in which the small army of Mul Raj was defeated. But things did not end here and again there was a revolt that stretched for several months at the end of which the Sikhs were completely defeated. Punjab was therefore conquered by the British on 29th March 1849. Rani Jind Kaur was taken captive and her young 11 year old son Raja Duleep Singh was sent off to London. Punjab came as a major feat for British administration which was accomplished by them under Lord Dalhousie’s command. This event subdued the protest in the neighbouring regions. The Treaty of Yandaboo was signed between the East India Company and the Burmese Kings on February 24th, 1826, immediately after the Anglo Burmese war concluded. Things ran smooth and fine for the next 20 years and gradually the Burmese Kings were getting tired of the cocky attitude of the English merchants who started flooding into the country and getting settled over there by taking over the lands of the local people. When these merchants were stopped from doing so, they complained to the directors of the East India Company who were sitting in Calcutta in 1851. They informed the officials about the operation of the Burmese offices at Rangoon and this issue was taken very seriously. Lord Dalhousie, who was the Governor General at that time asked the Burmese kings for compensation to which he received no answer from the other end. Now Lord Dalhousie had a reason to impose a war on Burma. There were several other minor issues regarding the Treaty of Yandaboo, but the exact reasons which led to the second Anglo Burmese war of 1852, were not made public. The war commenced on April 5th 1852 and immediately the British took control of the Maraton port on the very first day. On 12th April, they conquered Rangoon and in June, they took control of Pegu. This war finally ended in 1853 when a proclamation of annexation was read out without any proposition for any sort of treaty between the two sides. Pegu was renamed as lower Burma and as a result of this war, the British territory expanded from Chittagong to Singapore in the East. The policy of Doctrine of Lapse was applied by Lord Dalhousie according to which, if a natural heir is absent in any princely state of India, the sovereignty of that state shall be liable to the decision of the British directors. This policy was not formulated by Lord Dalhousie himself but was first introduced in 1844 by the then directors of the company which stated that any ruler should not be given the permission to adopt an heir, but adoption should be treated as an exception and not a rule. Special permission from the British directors must be received before a king was allowed to adopt an heir. However, this policy was never imposed before Lord Dalhousie's time, he saw it as an opportunity to increase the British territories. Lord Dalhousie only imposed this policy on dependent States. Independent States: Those states which did not pay any taxes to the British government or administration and also, they did not accept the supremacy of British power in India. Protected Allies: The states which had accepted the supremacy of the British government in India and also paid a regular tax to them as a tribute. Dependent States: Those states whose rulers were appointed by the British government through a letter of authority in which the terms for their installation as Rajas were described are known as Dependent States. The rulers of the protected allies needed to take mandatory permission from the officers of the East India Company in order to adopt a son who could succeed their throne. There were no specific rules as to which rulers would be allowed to adopt. It was totally based on the personal opinions of the British officials. The rulers of the dependent states were not allowed to adopt a son at all. The doctrine of lapse prove to be a boon for the expansion of the British Empire. The areas of Satara, Nagpur, Jhansi, Sambalpur, Jaipur, Bhagat and Udaipur were brought under the control of the British Administration by using the Doctrine of Lapse policy only. This policy was highly criticized by the rulers and the general public of the states in question. The British could declare any area as a dependent state if there was a strategic advantage in it for them. Once it was declared as dependent state, Doctrine of Lapse Policy was implemented on it. There was no judicial authority where the rulers affected from this policy could go and hence the decision of the directors of the company could not be challenged at all. Lord Dalhousie used this policy to architect the expansion of the British Empire in India. Although some of his decisions and proposals were rejected by the court of directors of the British government, like they refused to conquer the state of Kasauli, but this did not mean that he did not use the Doctrine of Lapse as his personal weapon to serve only one single purpose which was to expand the British territories.